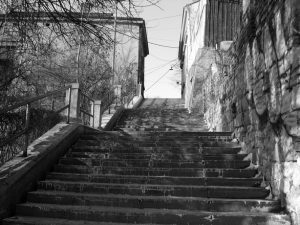 Is climbing stairs good exercise? You may be wondering about the health benefits of climbing the stairs instead of taking the elevator, or perhaps you’ve heard that taking the stairs can be bad for you because of the extra strain it puts on your joints? This article will cover both sides of the argument, looking at the benefits and the drawbacks of using stairs for exercise. Simply walking more can have a massive positive impact on your health, but if you want to improve your fitness and strength faster, including stairs in your workout is a great way to do it. The popularity of stair running has grown over the last few years into a competitive sport, with races how held in some of the tallest buildings across the world. Many famous movies also feature scenes of athletes training on stairs, such as Rocky. Burn more calories – According to MyFitnessPal, walking up stairs burns 500 calories in 55 minutes, compared to 134 minutes for a brisk walk (for a person weighing 150lbs). Therefore adding a few staircases into your walk can cut down the time you need to exercise for. Strength – Climbing stairs puts additional strain on your muscles in order to lift your weight up on to each successive step. This is particularly beneficial on your quads and glutes. Improves cardio and core – Raising your heart rate by taking the stairs is a great cardio workout which will improve your general fitness. The balance and stability required to get up the stairs, especially once you are tired also helps to strengthen your core. To increase the intensity of your workout, you could think about investing in a pair of ankle or wrist weights, though you should be careful not to overdo it as this can put additional strain on your joints. Probably the easiest way to start taking the stairs more is to simply use your staircase at home. This could literally be as simple as making a conscious effort to walk up the stairs once more than you usually would each day. Or you could do a timed session, where you walk up and down the stairs continuously for five or ten minutes, building up the length of time as you become fitter. If you can work up to 45 minutes of cardio you’ll be doing really well. 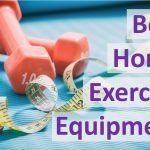 Alternatively you could invest in a stepper machine or mini stepper machine so you can get the benefits of exercise while watching TV! If you’ve already make the decision to walk more, you’re probably not doing in circles around your house or flat. One your next walk seek out a flight of stairs and incorporate this into your route. If there isn’t a good open staircase on your route, think about taking a detour to some public buildings, such as car parks, or shopping centers. 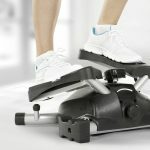 There are a number of step machines available from companies such as StairMaster. 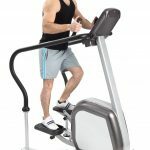 The more expensive versions such as the StairMaster SM3 Stepmill fully replicate a flight of stairs (think step treadmill). Many high end gyms will have this kind of equipment, or you could look to purchase one at home. This kind of equipment is very expensive compared to the alternatives, so not something you would want to rush into buying. Many people work in buildings with multiple flights of stairs. If you make a commitment to take the stairs up to your office or place of work each day, rather than taking the elevator, that’s a lot of extra calories you could burn. If you work in a particularly tall building you might initially want to take the lift up a few floors and walk the rest of the way. 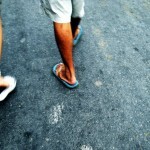 As you get fitter and stronger over time you can increase the number of floors you walk. Another option is to make a concerted effort in your lunch time to walk a few flights of stairs. Getting away from your desk and moving around has lots of benefits, and making the most of the steps will only increase them. Many people think very little about health and fitness while they’re on holiday, but it’s a great time to go for a long relaxing walk in a new place. Tackling a big flight of stairs can also be an excellent challenge for those a little more ambitious. CN Tower – The metal staircase in Toronto’s CN Tower, one of the world’s tallest buildings, is a total of 2579 stairs up to the Sky Pod. Monument – The monument to the fire of London, in London England, might only be 311 stairs, but it is a narrow climb and offers some excellent views over the Thames and the City of London. 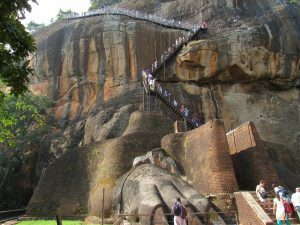 Lion Rock – Most people who visit Sri Lanka make the trip to the rock fortress of Sigiriya. The ancient palace stands atop a 200m rock, and the journey to the peak is an exciting array of walkways and spiral staircases. We’ve already looked at some of the general stair climbing benefits above. But what are the key advantages this has over taking the elevator? Mental stamina – Everyday we’re faced with a number of challenges and decisions, and it’s all too easy to go for the easy option. 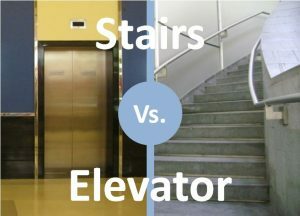 Setting yourself the goal of taking the stairs instead of the elevator will help to build your mental strength and stamina every time you are faced with this choice. It’ll get you pumped – When you get to work in the morning you might be dreading the day ahead. Or perhaps you’ve just entered the building where you’re about to have a job interview and you’re feeling nervous. Taking the stairs is you TAKING CONTROL of the situation, it’ll make you feel good, and the gentle exercise will help to get you pumped for whatever awaits. Save time – Lots of people are lazy, and this often results in long queues for elevators, even when the alternative is just a short flight of stairs. Save yourself waiting around and take the stairs. Better mood – Exercise releases endorphin’s, so take the elevator and you’ll arrive at your destination feeling the same as you felt on the ground, but take the stairs and you’ll feel a lot more positive when you get there. At 500 Calorie Fitness we always try to emphasize the importance of tracking your workouts. If you are simply making a commitment to take the stairs at work instead of the lift you might not want to bother, or it might be a simple check box on your calendar that says whether you took the stairs or not. If you want to start building stairs into your routine more generally, there are tools such as the Fitbit that can help you do this. Fitbit trackers that count floors have an altimeter sensor that can detect when you’re going up or down in elevation. Your tracker registers one floor when you climb about ten feet at one time. It does not register floors when you go down. Fitbit trackers do not count elevation gains on a StairMaster, inclined treadmill, or other stationary exercise equipment because your body does not change in elevation by 10 feet. This is a really good way of tracking how many flights of stairs you’ve done without having to consciously record it every time. The Fitbit app will also set a daily target for you of 10 flights of stairs (which can be manually adjusted) so you can see how you are performing each day. This is useful when you look back at your exercise over time. For instance you might immediately see that you are getting the required flights of stairs during the week while you are at work, but that you are generally not doing enough at the weekend. As stair walking require more physical energy than simply walking on a flat surface, there are a few things you should be aware of before you think about including it in your exercise routine. Heart trouble – Taking the stairs can put additional strain on your heart compared to walking. If you have suffered from a heart condition in the past you should consult your doctor before embarking on this type of exercise. If you experience any chest pain while exercising you should also stop immediately. Joints – Many people experience knee pain when climbing stairs. Conditions such as Chondromalacia patellae (damage to the cartilage at the back of the kneecap) can make it particularly painful. 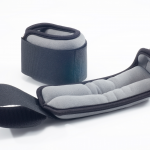 This is partly due to the extra pressure that it places on your joints. If you suffer from either of these conditions then I probably would not recommend stairs for you. If you’ve already seen success with the 500 Calorie Diet and you’re looking to take things to the next level, you should definitely think about including steps in your daily routine. Making simple changes to your routine, such as taking stairs instead of the elevator can have a big impact over time. Whether you decide to start taking the stairs at work, or you include steps as part of a 500 calorie workout, or some other combination of the above, you’ll immediately notice the additional challenge that this brings. In short, not only is climbing stairs good exercise, but it is also an excellent way to spend some time in the great outdoors, something that people don’t do enough these days!